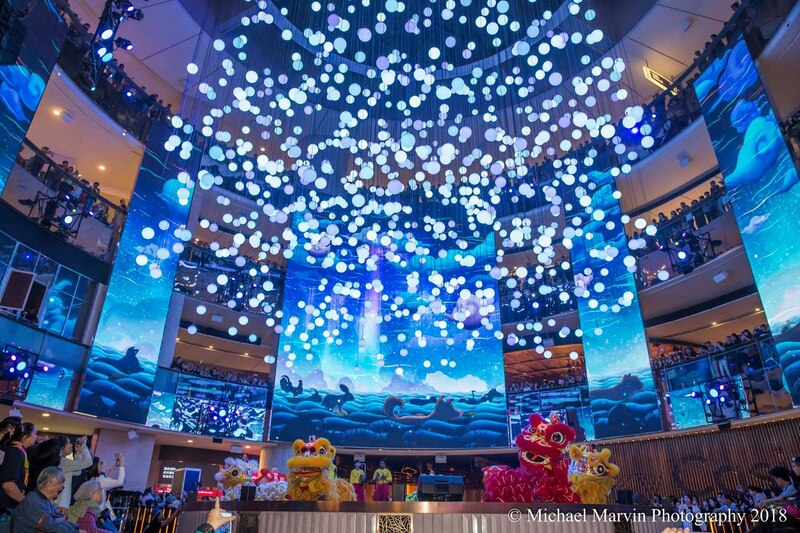 Genting Highlands, 20 January 2018 – To start off the Chinese New Year festivities, SkySymphony the ‘Theatre of Lights and Sound’ at SkyAvenue mall, Resorts World Genting today launches a brand new show to usher in the New Year. 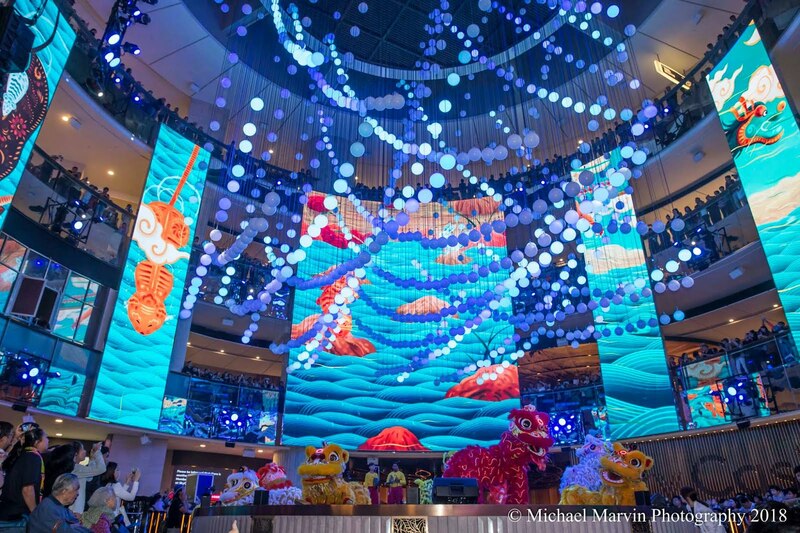 With LED screens covering four storeys, SkySymphony is a state-of-the-art fantastic feature at the SkyAvenue mall where 1,001 winch balls synchronise and move to form different shapes that come alive to tell a story. Kevin Tann, Vice President of Promotions & Entertainment at Resorts World Genting hosts the show that starts out with a bang with a blast of confetti and a grand total of eight lions prancing around with great energy. 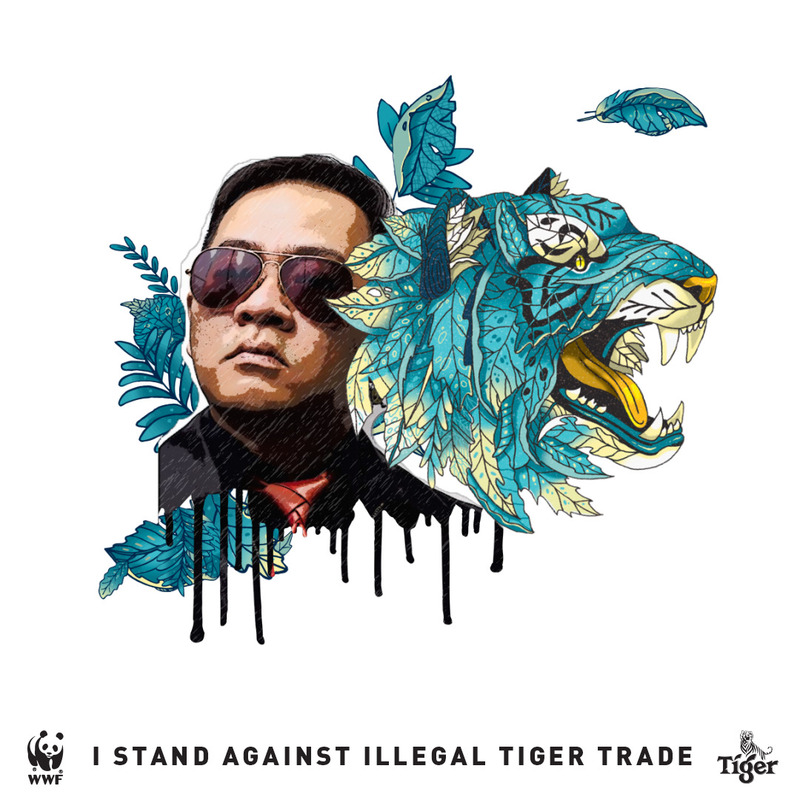 Behind the face of the ‘lions’ are professional performers showcasing their specially honed skills. According to Chinese tradition, lion dance performances are typically held during the New Year. 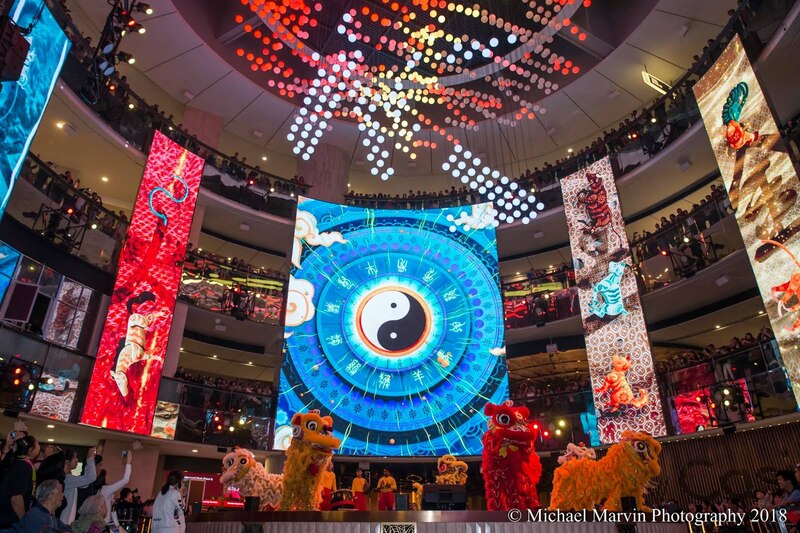 It is believed that this special performance will bring in luck and drive away any negative energy. Besides the traditional beliefs, the performance provides an element of fun with animalistic movements, shoulder lifts and small acrobatic jumps that thrills the waiting crowd. 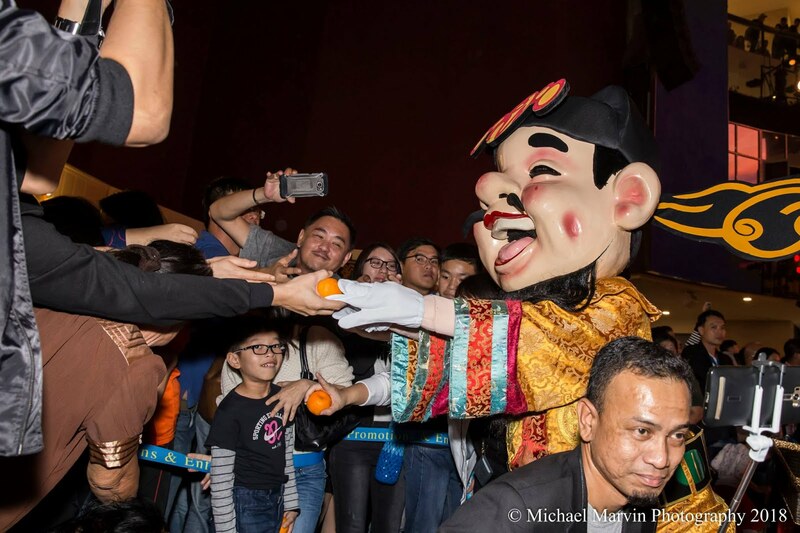 On hand to add further excitement to the activities are six Choy San Yeh, or the ‘God of Prosperity’ who show up onstage alongside the lions to add gaiety as well as to distribute mandarin oranges to lucky visitors. 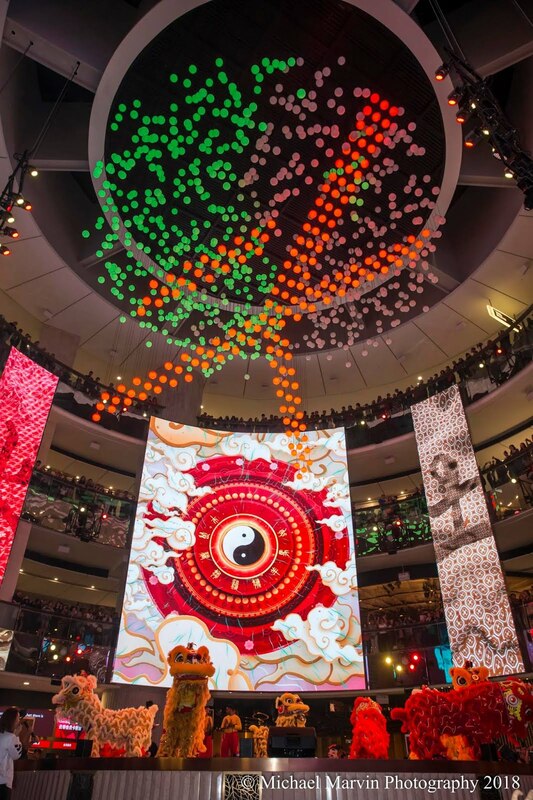 The much awaited for show finally starts to the delight of visitors awaiting with bated breath. 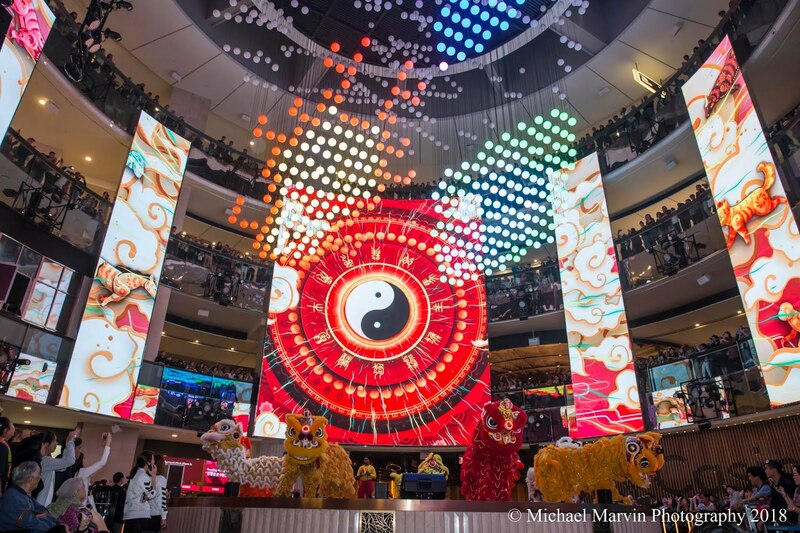 For approximately five minutes, visitors are transfixed by the audio, visual and motion graphics showcase which is Asia’s largest permanent winch installation and its first multimedia winch attraction. Lights flood the screen to the majestic tune of thumping drums accompanied by the lilting rhythm of percussion which creates a theatrical effect. The show opens with the image of the yin and yang symbol formed by the winch balls and gentle rolling clouds on the screen. The show is enjoyed by all visitors alike, whether those that will be celebrating the festivities or otherwise. The Chinese letters of the fundamental elements of all things in the universe that interact - wood, fire, earth, metal and water appear respectively. 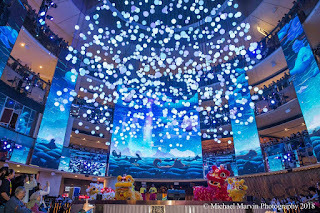 The twelve animals of the Chinese Zodiac, which is different for each individual according to the year they were born on, are seen gamboling and frolicking in the clouds and in the sea onscreen whilst visitors can have a fun time guessing the animals formed by the colourful winch balls whether it be a hissing snake or a majestic dragon. 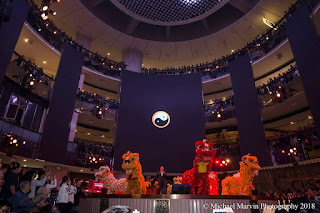 A gleeful ‘Choy San Yeh’ appears onscreen and the animals of the zodiac are ushered out in turn, aptly ending with animal prominently featured for this year, the year of the Dog wishing all visitors ‘Gong Xi Fa Cai’, or blessings for the New Year, ending the show to a a predictable round of enthusiastic applause. 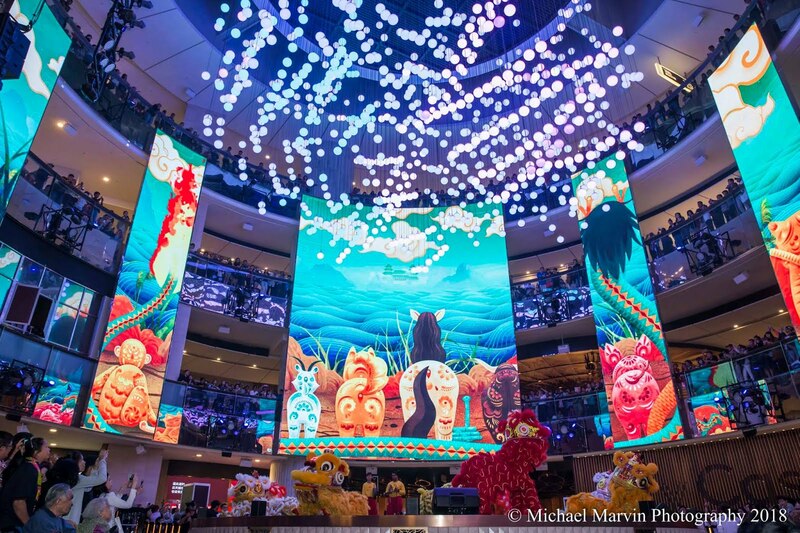 This Chinese New Year show promises to delight any audience. It provides a brand new entertainment experience for visitors to the resort. There are also more delightful attractions in store throughout the festive season for those who is planning to come to the resort. 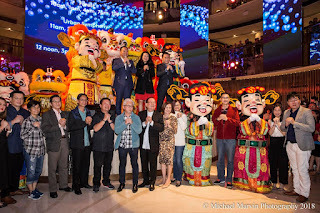 The highlight would be the first “Dog Dance” show in the world titled ‘The Prosperity of 9’ with nine dog mascots such as a husky, a Rottweiler and a German Shepherd and many other characters. 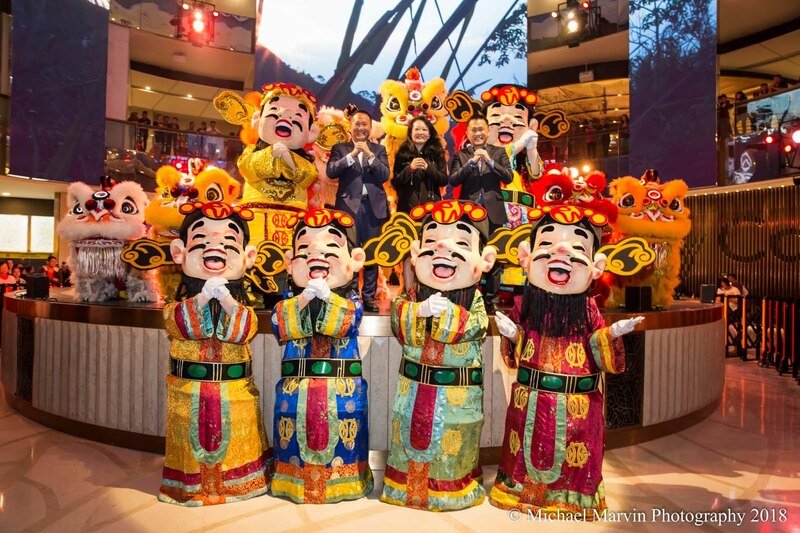 There will be Choy San Yeh and eight gorgeous ‘blossom fairies’ parading around the resort as well. 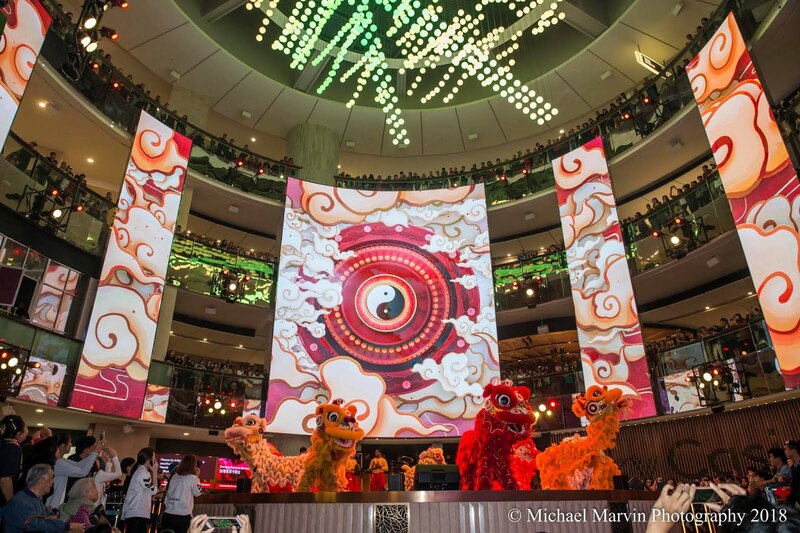 Make sure to catch the Kwong Ngai Lion Dance show as they usher in the new year with eight golden lions and various stunts and acrobatics at SkyAvenue. 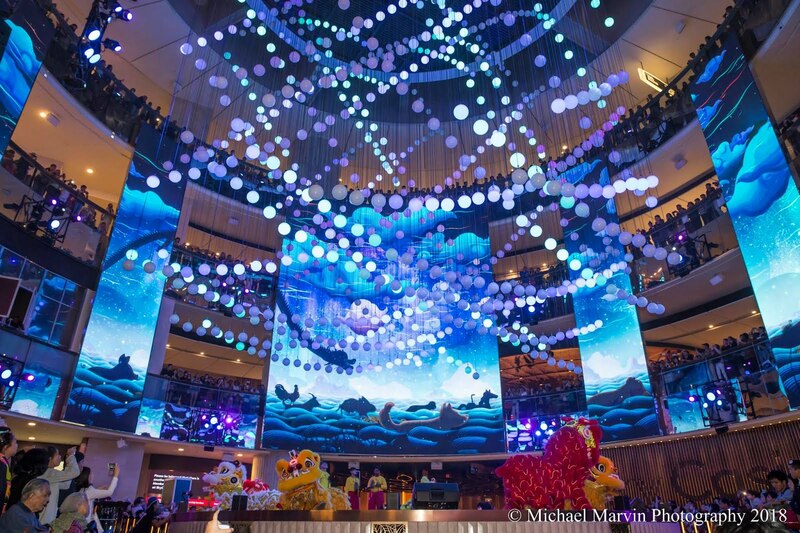 These events will be running from 14 February to 4 March at hotel lobbies around the resort and the SkyAvenue mall. 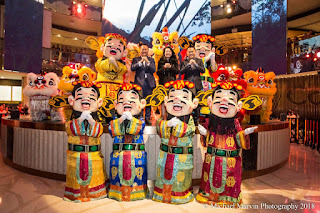 A lion dance will parade through the resort on the second day of Chinese New Year, 17 February by the Kun Seng Keng Lion & Dragon Dance Association for a special show. 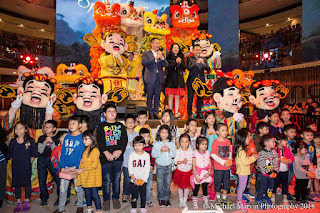 A stunning fireworks show will be on display on the 15 February, 23 February and on 2 March to stun the crowd with brilliant pyrotechnics that will light up the night sky at Resorts World Genting 6000 feet above sea level. 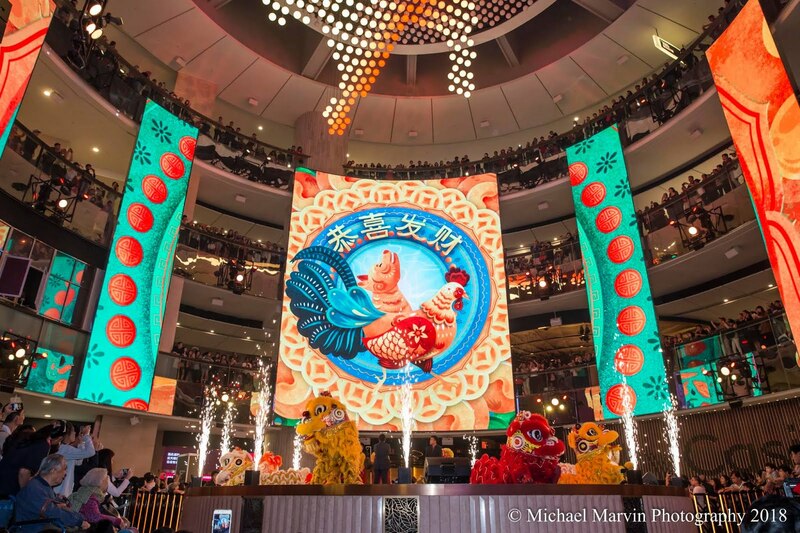 Besides Chinese New Year Show at every on the hour every hour, there will also be three other shows being showed every half an hour after each Chinese New Year show with The Forest, Urban Symphony and The Goddess showed respectively. The shows start from 10 am to midnight daily. The SkySymphony Chinese New Year show runs from 20 January to 4 March.